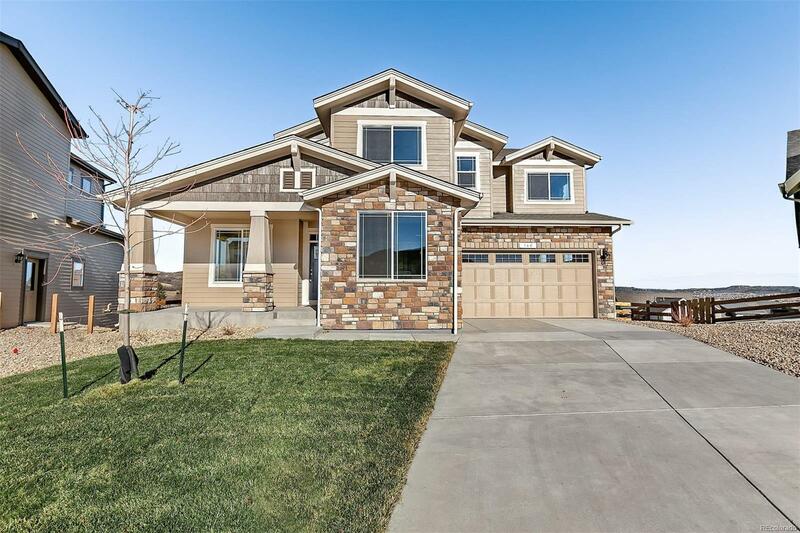 Stunning Move in ready Two Story Home with open floor plan and lots of beautiful high end finishes including extensive hardwood flooring and quartz counter tops in the kitchen and owners suite. 3 Car tandem garage. The Beautiful gourmet gourmet kitchen has stainless steel appliances, double ovens and gas cook top. Open to cozy great room and spacious dining room. Your main level also includes guest bedroom. Breath taking Owners Suite features 5 Pc bath. This stunning home boosts a spectacular View! Close to Phillip S. Miller Park with miles of hiking /biking trails and more! Builder 2-10 Limited Warranty.